As any hiker will tell you, a trek through the wilderness quiets the mind and soothes the soul. But not every trail is a happy one. 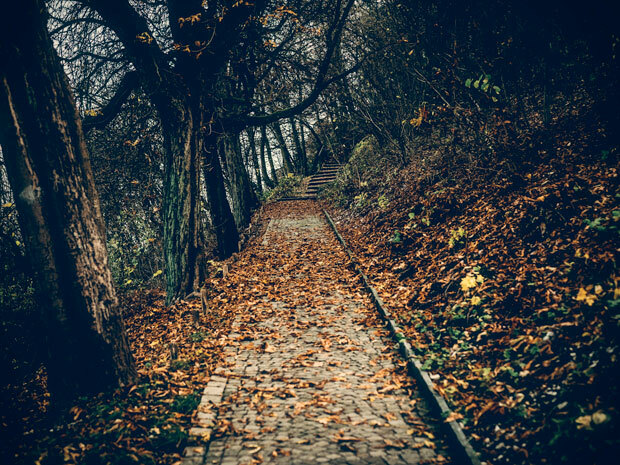 Some footpaths are plagued by dark histories, while others are rumored to be the lonesome routes of restless spirits. From an abandoned Nazi compound to the Gates of Hell, here are America’s 12 most haunted hiking trails to hike this summer—if you dare. 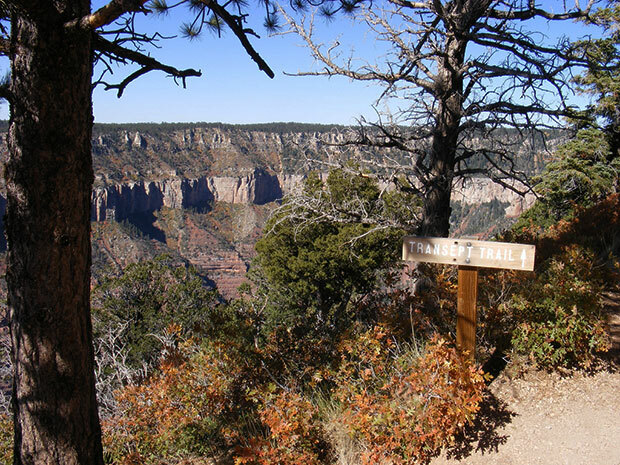 The Transept Trail stretches from the North Rim Campground to the Grand Canyon Lodge in Grand Canyon National Park. It passes an eerie Puebloan ruin at its midway point. 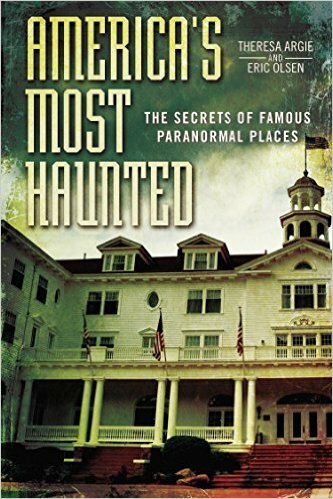 But far more terrifying is the ghost of the Wailing Woman who reportedly haunts the path. Hikers have claimed to hear her weeping moans while others have even seen her gliding by in a white dress with blue flowers. According to legend, the woman committed suicide in the nearby lodge after learning of the death of her husband and son in a fatal hiking accident. The name alone should keep skittish hikers away. Ghost House Trail passes old Norton Cemetery to what remains of the Matson Hutchinson homestead. One tale tells of Hutchinson’s daughter, who contracted tuberculosis and died on the property sometime in the late 1800s. Her phantom cries can still be heard even though the homestead is long gone. Eerier still, hikers who snapped photos of Norton Cemetery—which includes Matson Hutchinson’s final resting place—claimed that ghostly silhouettes appeared in their snapshots, hovering behind the tombstones. 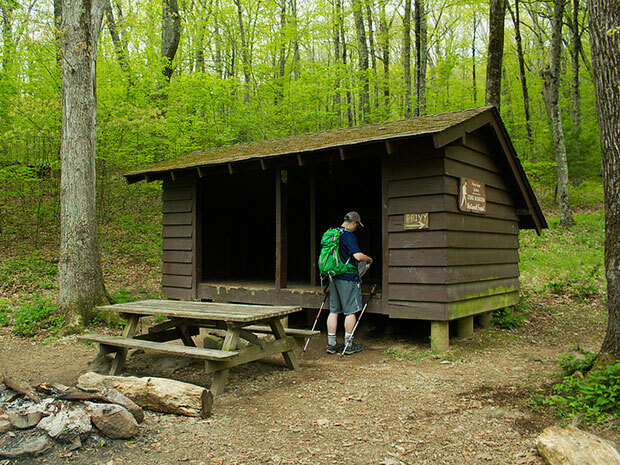 The Punchbowl Shelter is supposed to be a place for hikers to rest before venturing out again on the Bluff Mountain segment of the Appalachian Trail. But it seems the shelter is already occupied by an otherworldly presence. The mischievous ghost of four-year-old Ottie Cline Powell reportedly haunts this trail. He died on the mountain over a century ago when he wandered away from school. The shelter’s registry is filled with stories from hikers who encountered the young Ottie, still looking for his way back to safety on that lonely mountaintop. Tucked away in the Santa Monica Mountains are the remains of an isolated ranch with one sordid past. 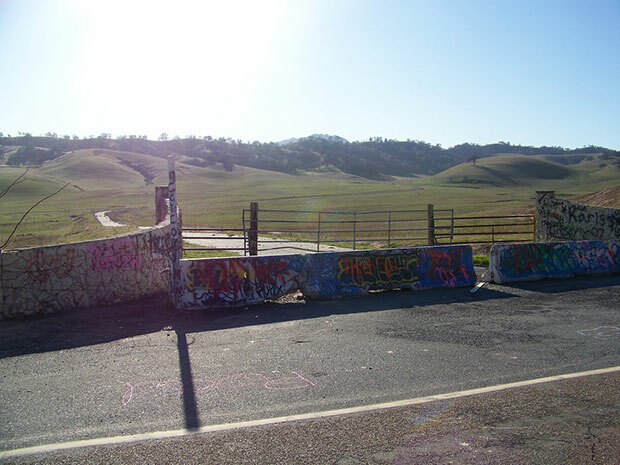 Nazi sympathizers reportedly built the Murphy Ranch in the late-1930s. They envisioned the compound as a self-sufficient bunker and future Nazi utopia once German forces conquered the United States. Thankfully, the war didn’t quite work out in their favor. 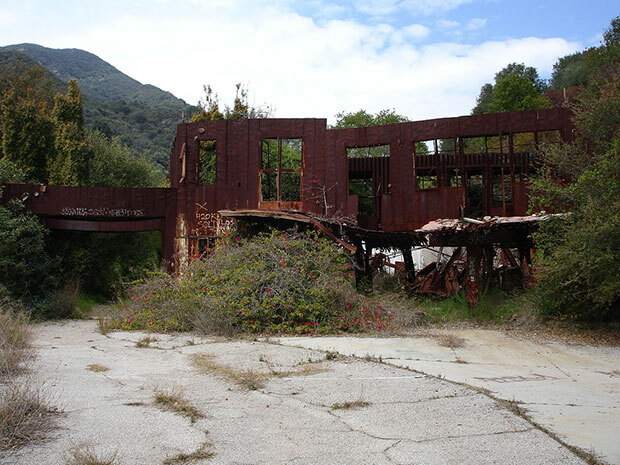 Take the lonely four-mile hike through Topanga Canyon today and you’ll come upon the spooky ruins of the compound, now completely covered in graffiti. As of spring 2016, some hikers report the structure is being torn down, so it may not be around for long. 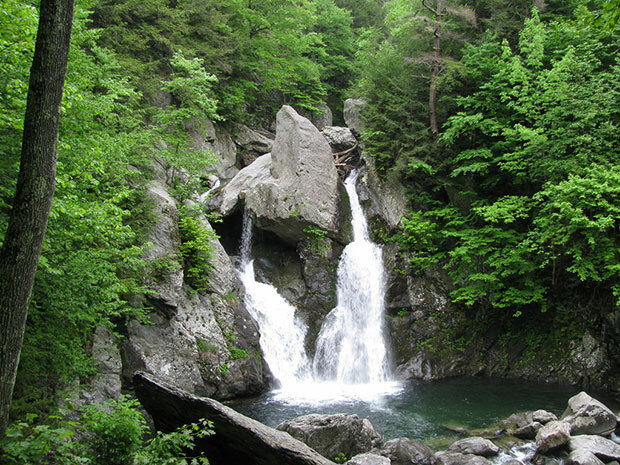 At the end of this hike in Mount Washington, you’ll come upon the beautiful Bash Bish Falls, a waterfall with a 60-foot drop. But the story behind Bash Bish Falls is far from lovely. Legend has it that a young Mohican woman was accused of adultery and as punishment, was sent over the falls while bound in a canoe. A halo of butterflies appeared just as her canoe tipped over the ledge. While bits of the woman’s vessel were found floating in the pool below, her body was never recovered. Years later, her daughter committed suicide by throwing herself over the same drop. Hikers today claim that they can see the ghostly silhouette of a young woman standing behind the falls. The victims of one of the worst railroad disasters in American history are said to haunt the former railway tunnels of the Iron Goat Trail. Nearly 100 people died in 1910 when an avalanche derailed two passenger trains traveling along this six-mile stretch. 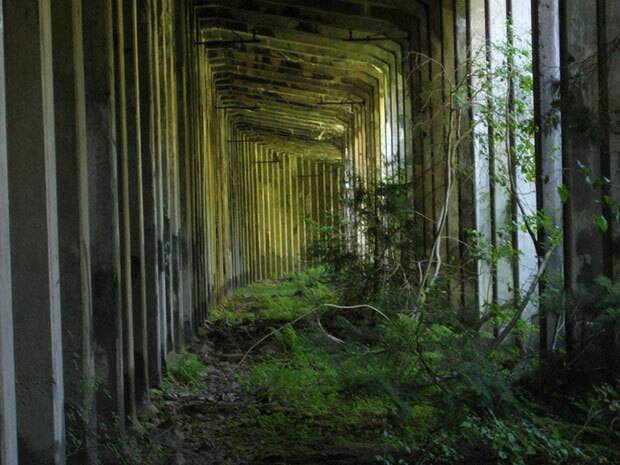 Though the tracks have long since been removed, hikers claim the screeching metal of the accident and screams of its victims still echo through the tunnels. 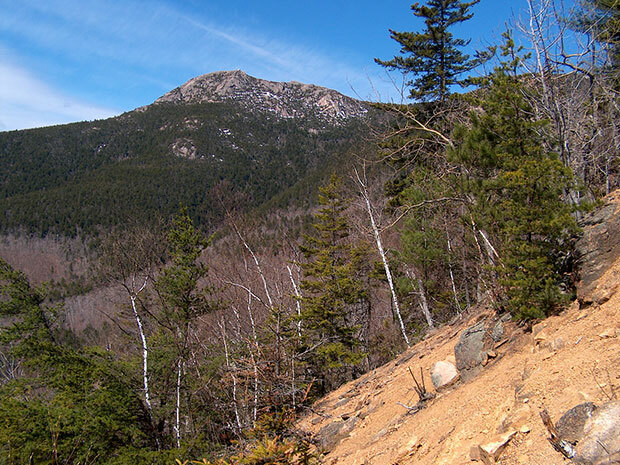 According to legend, this craggy mountain in New Hampshire was named after a Native American man named Chocorua, who came home one day to find his son dead. Believing his settler neighbor had poisoned his child, Chocorua exacted revenge by slaughtering the man’s entire family. The settler pursued Chocorua up the mountaintop, wounding the Native American in the process. Realizing he was trapped, Chocorua jumped off the mountain to his death—cursing the settlers before his fatal leap. 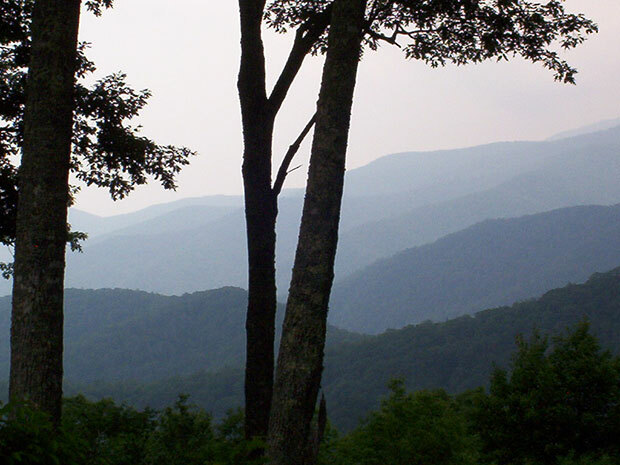 Venture out on this nearly nine-mile hike with this curse in mind, and you’re braver than us. 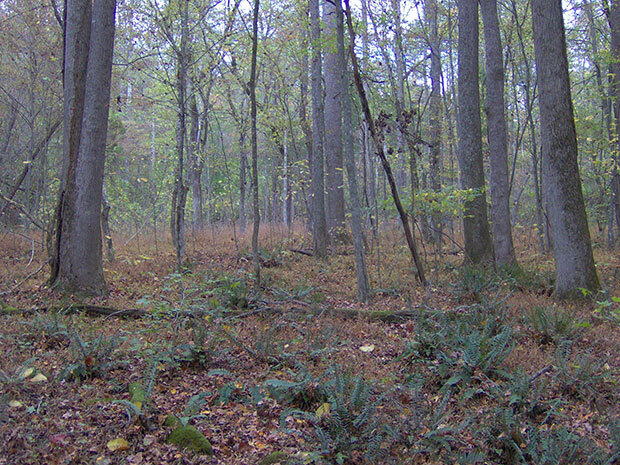 The hills surrounding Norton Creek Trail are haunted by an evil ghost known in Cherokee legend as Spearfinger, so called because of her one long finger as sharp as a steel blade. Spearfinger was said to wander the Great Smoky Mountains of North Carolina and Tennessee, where she would disguise herself as a kind old woman and lure children to their doom. ­Not every spirit haunting this region is malevolent, however. Others tell of a friendly white light—said to be the spectral lantern of a murdered settler—that has led many a lost hiker back to safety. Empire Mine Road has been the site of so much reported suffering that it is commonly known as the Gates of Hell. The road itself is chained off to vehicles, though it’s open to foot and bicycle traffic. Haunting this desolate stretch are the ruins of a slaughterhouse, tales of bloody Native American battles, and—at the end of the road—the supposed remains of an abandoned insane asylum built over a gate to hell. The pavement is charred, cracked, and blanketed in graffiti. In 1995, a young man reportedly stumbled out of Empire Mine Road. His throat had been slashed and his jaw had been broken. Enter the Gates of Hell at your own risk. 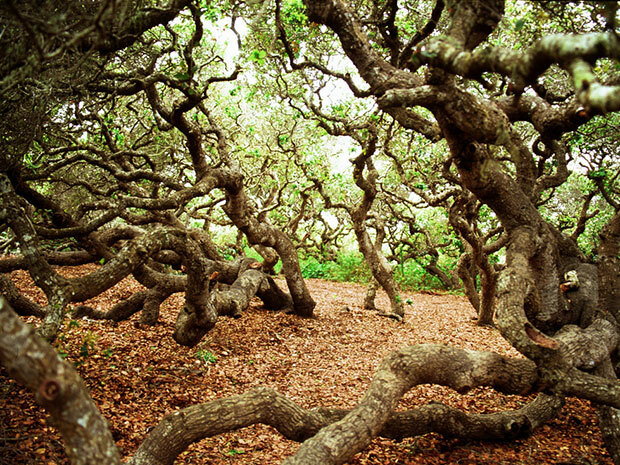 One of the most haunted areas in San Diego, Elfin Forest is said to be the home of a white witch who searches for her murdered husband and son. Hikers have claimed to see a ghostly figure of a woman floating in the woods and have been touched on the shoulder, only to turn around and see no one there. Others claim the Native American stone circles that still exist in the area act as portals, and hikers have experienced large, unexplained lapses in time while on the trail. 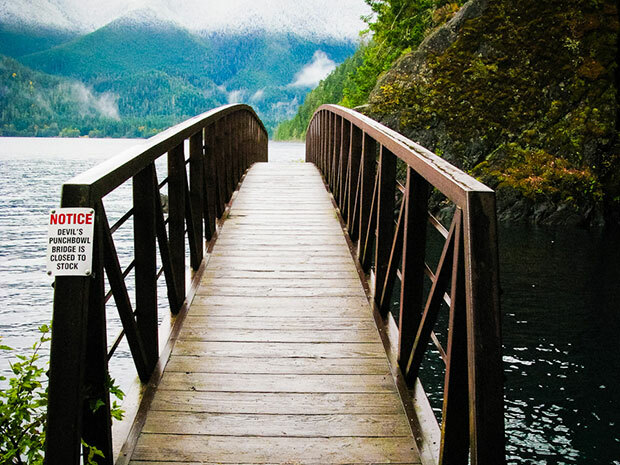 While on this eight-mile loop that rings Lake Crescent, keep your eyes peeled for a wandering spirit known as the Lady of the Lake. In 1937, a waitress named Hallie Illingworth was murdered and dumped into Lake Crescent. Three years later, fishermen recovered her remains. Hikers claim to have encountered the figure of a woman dressed in white who roams the trail near the water. 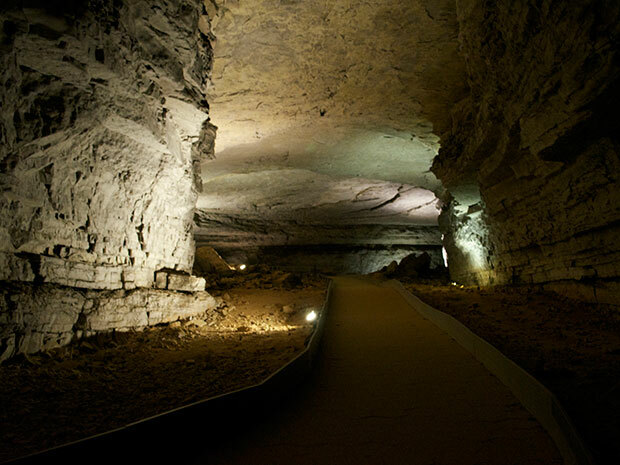 Mammoth Cave is one of the world’s longest cave systems, and is a hotbed of paranormal activity. Once used as a shelter for tuberculosis patients, the cave lies adjacent to what is known as Corpse Rock where patients’ bodies were laid before burial. Hikers who have ventured into the cave claim to hear the ghostly coughing of those who suffered and died here.